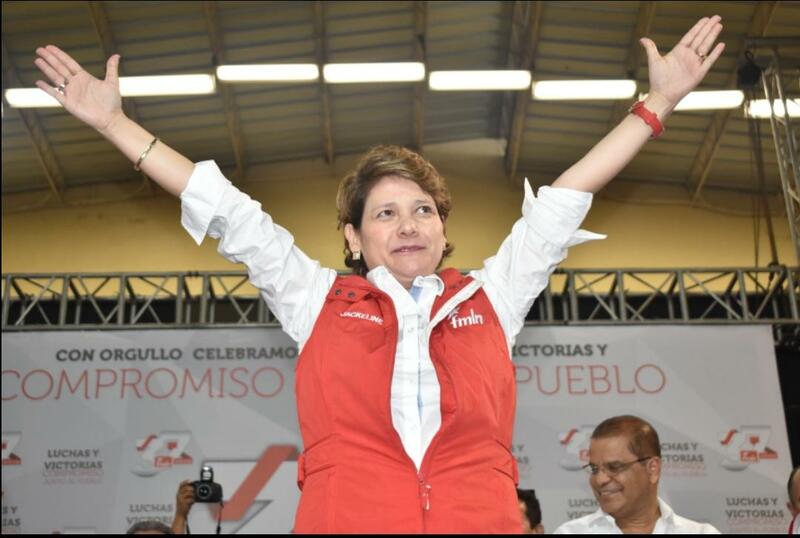 Rivera will be stepping into the candidacy made vacant by the FMLN's expulsion of Nayib Bukele, the independent-minded current mayor of San Salvador. Back when Bukele was still in the party's good graces, Rivera tweeted this picture of herself with Bukele on their way to the internal elections for his nomination in June. Rivera will have an uphill battle competing against ARENA's candidate, Ernesto Muyshondt, and working to win over voters upset by the FMLN's expulsion of the popular Bukele.